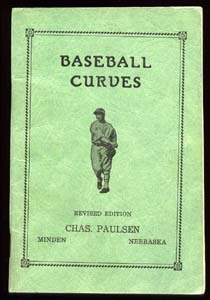 Baseball books, in general, have been gaining in popularity as pre-World War II specimens are becoming harder and harder to find. While the first such book arguably was A Little Pretty Pocket Book, written in 1744 by John Newberry (and including illustrations of early versions of the game), this page showcases books "authored" by players and/or managers. Baseball, How To Become a Player, by John Montgomery Ward. 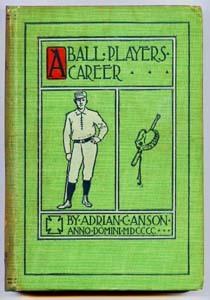 Significant works included Adian "Cap" Anson's A Ball Player's Career (featured at left) and 1911's Base Ball America's National Game by A.G. Spalding (see above right). 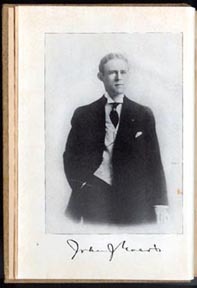 Anson's autobiography traced his days playing for such early teams as Marshalltown, Forest City and the first incarnations of the Chicago White Sox and Philadelphia A's. 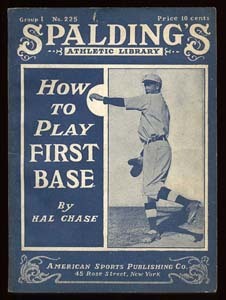 For his part, Spalding's book was issued in two versions, both showcasing four fold-out photo inserts. 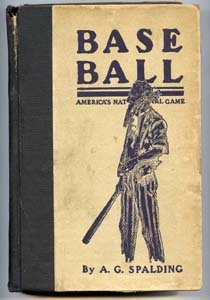 Baseball in The Big Leagues, as shown below), was credited by many as the first instructional book on the game -- which was definitely not the case. 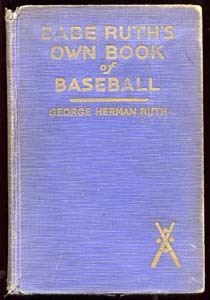 No less than Connie Mack and John Ward had issued similar works, years earlier. 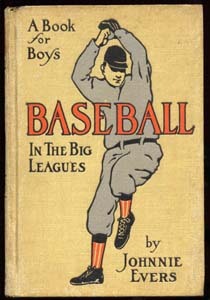 Surely one of the most prolific and popular of the player "authors" was Christy Mathewson, who issued five ghostwritten childrens novels in addition to the semi-instructional Pitching In A Pinch (1912). 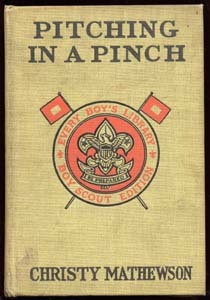 A Boy Scout edition of this work is shown on this page, along with an interior photo of the author. Such stars as Charles Comiskey (bringing the total of N28 "authors" to three), Ty Cobb, Babe Ruth (see below, right), and Rogers Hornsby all got in on the publishing act, issuing books of their own. 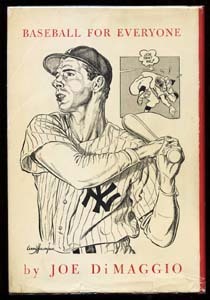 By the 1940s and 50s, baseball player-authored books fast became a staple of sports publishing, with such Hall of Famers as Joe DiMaggio, Yogi Berra, Roy Campanella and others "putting pen to paper." 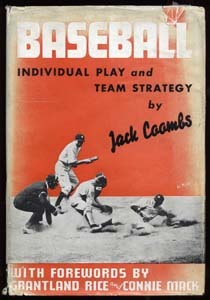 How To Play First Base is one of the few in this series credited to an actual player and perhaps the only one with a photographic cover, complete with credit line. 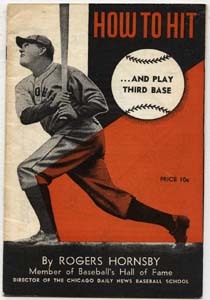 In a similar vein, Rogers Hornsby received author credit on a later-issued How To Hit...And Play Third Base book(let), issued by the Chicago Daily News Baseball School, with Rajah credited as a "Director" of this now-forgotten institution. A copy of this oddball item can be seen at lower right. 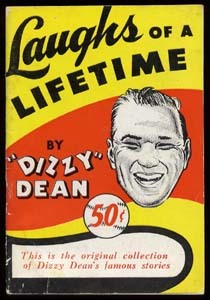 Even odder is Dizzy Dean's Laughs Of A Lifetime pamphlet, which was released in the 1950s, at the height of Dean's sports broadcasting career. Known for his witticisms (or lack thereof, depending on your sense of humor), Dean's book -- whioh can also be seen at right, below -- is decidedly not baseball-focused! 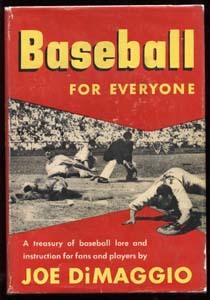 And collectors can also enjoy obscure sports books issued by Ziff-Davis, now known primarily for their computer-themed magazines. 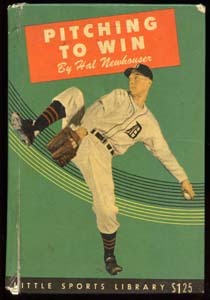 In the 1940s, the publishing house issued an assortment of baseball magazines (and comic books, as well)...along with a glossy-covered sports book series. Hall-of-Famer, Hal Newhouser, "authored" Pitching To Win for Ziff's Little Sports Library brand. This series was not issued with dustjackets, as graphics were printed directly on the glossy hardback cover stock (see specimen, right). My 66 Years in The Big Leagues. This prospectus edition pre-dates the 1950 book by a few months to a year, and showcases chapter samples, along with photo examples. This version even includes an order form at back, for salesmen to use when signing up book sellers to carry the released edition. 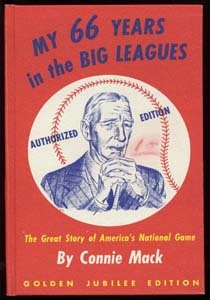 This Connie Mack edition pops up very infrequently, and features a cover that is identical to the complete first edition. Of course, the salesman's sample is very thin, including only a few skip-numbered pages to entice the interest of bookstores. And, predictably, this edition admonishes: "The pages of this prospectus are subject to revision and correction in the completed work." 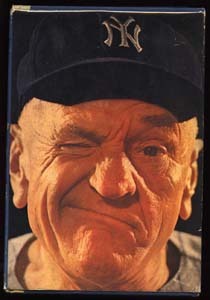 For sheer entertainment value, nothing can beat the dustjacket cover photo of Casey Stengle's 1962 Casey At The Bat. This book traces Stengle's playing days and pre-New York Mets managerial career, but the cover photo adroitly summarizes what Casey was all about (see below, left). Interestingly, Stengle inscribed the book shown below with his full name, Charles Dillon Stengle, as he was signing the copy for a gentleman named, Paul Dillon. 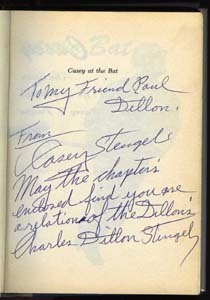 It reads: "From Casey Stengle, May the chapters enclosed find you are a relation of the Dillons, Charles Dillon Stengle." Who Paul Dillon was/is, remains a mystery. Each of these sections can be found on a separate page, in an attempt to keep load times manageable. The books section is included on this page, below. Each section will become live as it is completed, as many are currently in-progress.